First, I would like to thank, on behalf of IAHS, the Secretary General of WMO, Dr Obasi, for giving me the opportunity to present the 1988 International Hydrology Prize during this prestigious event, the 8th session of the WMO Commission for Hydrology. Let this gesture symbolize the long-standing close collaboration berween WMO and IAHS of which so many specifie examples are listed in the documents of this session. For the most part, the duties of an IAHS President are by no means very exiting and do not belong among what one would classify as the pleasures of life. But there are occasions which are very gratifying and enjoyable and which the memory wiil retain as bright points long after most other things have faded into its greyish background. 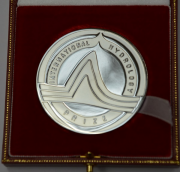 Among these memorable occasions is the award of the International Hydrology Prize which our Association makes every year to individuals who have distinguished themselves by their contributions to the science of hydrology. 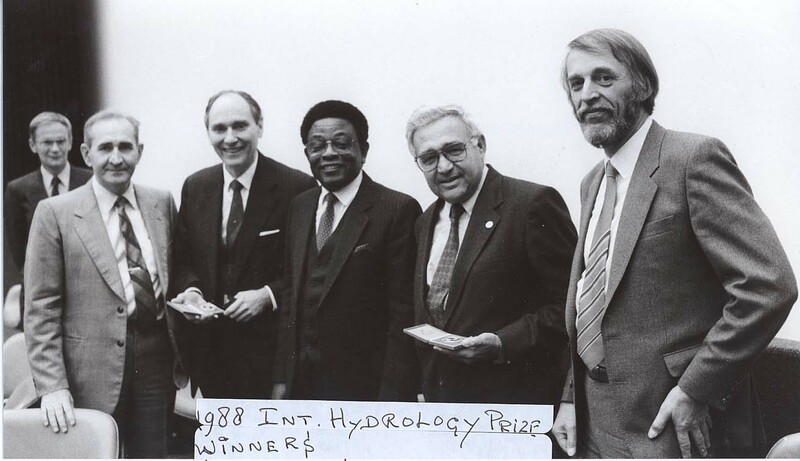 Today, I have the honour to inform you that the joint recipients of the International Hydrology Prize for 1988 are Dr Sorin Dumitrescu of France and Dr Jaromir Nemec of Switzerland. The first is presently acting as Assistant Director General of the Natural Science Sector of UNESCO, and the other is the Chief of the Water Resources Service of FAO. These two gentlemen are being rewarded for their illustrious services to hydrology on the international scene. In particular, Dr Dumitrescu for the work in his long-term capacity as Director of the UNESCO Division of Water Sciences, and Dr Nemec for his long-term directorship, and his key role in the foundation, of the WMO Department ot Hydrology and Water Resources. In these capacities the work of Dr Nemec and Dr Dumitrescu has been highly complementary and extremely successful, and there probably is no single country represented here today whose hydrology has not benefitted from their work over the past 20 years or more. To give examples just of the most visible accomplishments in international hydrology for which the lion’s share of the credit must be given to these two gentlemen, I would like to mention the IHD and IHP whose success is inseparable from the name of Dr Dumitrescu, and the OHP and HOMS behind which Professor Nemec was the driving force. The complementarity and importance of these international hydrological projects amply justify the joint award of this year's Prize to their respective long-time leaders. However, I must tell you that the complementarity of our joint winners much beyond the aspects captured by the Prize. Dr Dumitrescu, a native of Romania was nourished by the Romanic cultural tradition and through his doctoral studies in Leningrad he was exposed to the Slavic environment. On the other hand, Dr Nemec, a native of Czechoslovakia, grew up in the Slavic element and, having studied in Prague, has absorbed the central European culture there since Prague has been one of its important centres throughout history. AIso, they were exposed to different professional backgrounds in the early stages of their careers, Dr Nemec having been a university professor in Prague and Dr Dumitrescu the director of a research institute in Bucharest. Last, but not least, aIl of us who have had the pleasure to know both our prize winners personally, would agree about the complementarity of their personal styles, the low-key Dr Dumitrescu reaching his successes as if from the background, while the not-so-low-key Dr Nemec achieving them in the front lines. Ladies and gentlemen, I beIieve I have given you more than enough reasons why Dr Nemec and Dr Dumitrescu have been awarded the 1988 IAHS International Hydrology Prize jointly and I now call on the two gentlemen to come to the podium to receive their awards.